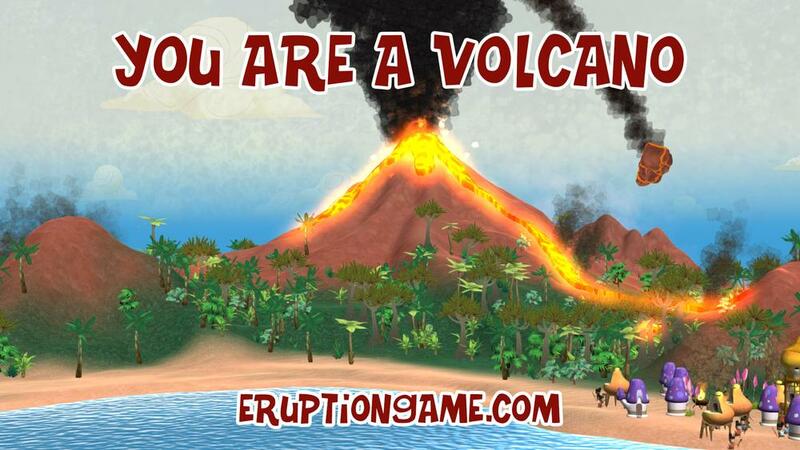 You are a volcano! Puny humans have invaded your island and you must assert your dominance over them as a force of nature! Destroy them using your powers of volcano caps, eruptions, earthquakes, and lightning. Assert your dominance and be recognized as one of the world's greatest volcanoes!